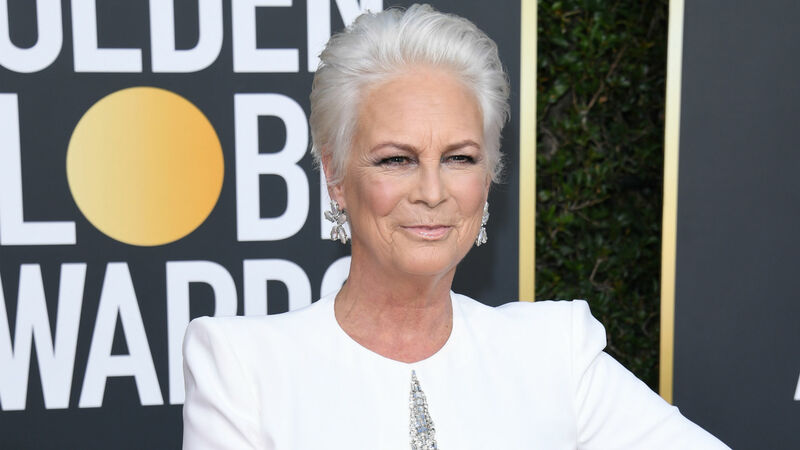 Most everyone else may have been entertained by the now famous Fiji water girl at the 2019 Golden Globes, but Jamie Lee Curtis didn’t find Fiji’s publicity stunt captivating. Curtis has shared her thoughts on the promotions happening at the award show on Sunday. The actor actually tried her hardest not to be photographed with the Fiji water girl, who not only became a meme, but one of the most talked-about topics of the evening. In an Instagram shared on Tuesday evening, Curtis posted a photo of herself her husband, Christopher Guest, discovered on CNN. The picture shows a side shot of the Golden Globe winner on the red carpet with the Fiji water girl in the background. For those unaware, the Fiji water girl, whose real name is Kelleth Cuthbert, was standing on the red carpet with a tray of Fiji water and was hired to hand out bottles of water to those who wanted one. She also appeared in the background of many celebrities’ photos. To be clear, Curtis didn’t criticize Cuthbert, but rather the sponsorship happening at the award show. She believes celebrities should be asked whether or not they mind being photographed with whatever products that are being promoted at an event. So, my husband, who doesn’t look at a lot of show business news sites, just mentioned that I was on the CNN website. I specifically moved away from the blatant promotions by Fiji and Moet where young women with their trays filled with their wares stood near a designated camera. I knew why there was a photographer poised there and I moved away as I said out loud that I didn’t want to be doing advertising for either. Clearly this angle shows that I moved from her being behind me and yet from the side it still happens. The sponsors of events need to get permission from people when they get them to take their picture next to products. So far, it looks like Curtis is the only star to have spoken out against having her photo taken with the Fiji water girl lurking in the background.